F-35B Lightning II stealth fighter jets with the fixed-wing detachment of Medium Marine Tiltrotor Squadron 262, 31st Marine Expeditionary Unit (MEU), conducted a bombing exercise from the Wasp-class amphibious assault ship USS Wasp in the Philippine and East China Seas, Jan. 26 through Feb. 6, according to a press release by the US Indo-Pacific Command. F35B releases smart bombs above the Pacific Ocean, Feb. 3, 2019. During the exercise, fifth-generation combat aircraft were armed with Sidewinder missiles and precision-guided munitions. The exercise marks the first time that the F-35B jet performed bombing runs in the Indo-Pacific region, "demonstrating an increase in lethality and integrated amphibious capability," according to Col. Robert Brodie, commanding officer of the 31st MEU. The purpose of the drill could be a clear warning shot to China. 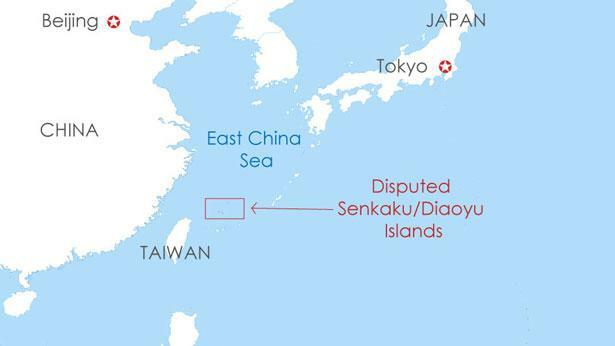 US and Japanese officials are worried about the sheer number of Chinese warships and bombers patrolling the Senkaku islands, which are uninhabited, located east of mainland China, northeast of Taiwan and west of Japan's Okinawa prefecture. Their location makes them strategically valuable to both China and Japan. Both countries have overlapping claims. The 31st MEU is continuously forward-deployed with USS Wasp, provides a rapid lethal force ready to perform combat missions as the top crisis response force in the Indo-Pacific Region. Conflict with China could be on the horizon. The US military is undoubtedly preparing with stealth jets in a tense region in the East China Sea.